Folded from 30 square sheets of origami paper. 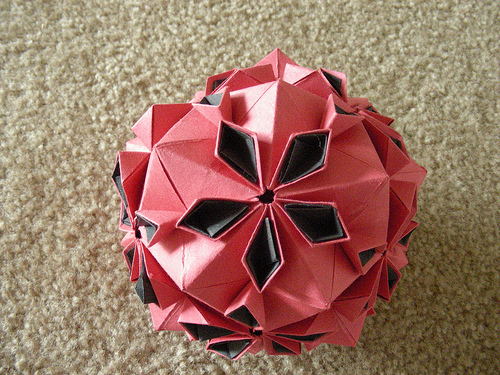 The black petals have been folded from black construction paper folded from 1 inch squares. Страница сгенерирована за 0.068385124206543 секунд!